New-vehicle sales have reached a record level in 2017, with more than 2 million units sold for the first time in Canada. 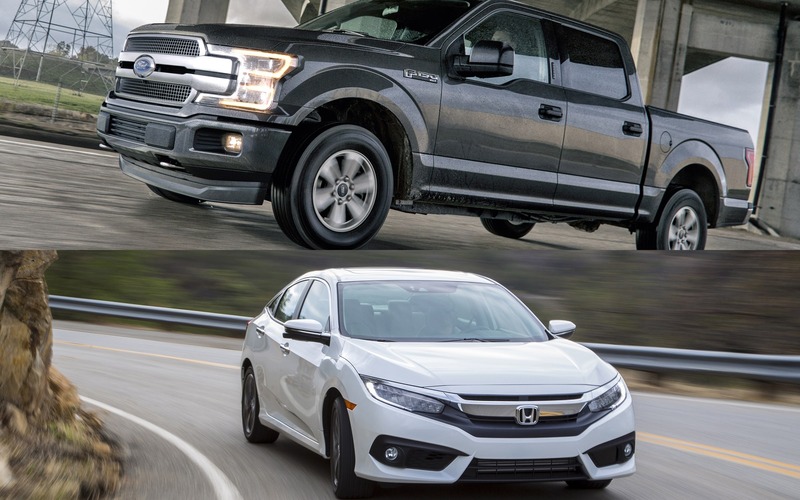 The SUV craze is still going strong, and according to Desrosiers Automotive Reports, light-truck sales increased by 8.7%, finishing the year with a 68.6% share of total new-vehicle sales. Car sales have dropped by 3.4% to conclude the 2017 calendar year with a market slice of only 31.4% across the country. However, it’s worth mentioning that several crossover vehicles, some of which aren’t available with all-wheel drive such as the Toyota C-HR and the Kia Niro, are classified as light trucks. On the sales charts, it’s the Ford F-Series that took the title of the best-selling vehicle in Canada, for the 52nd consecutive year. A total of 155,290 units have been sold. Obviously, it’s also the most popular truck in the country. As for the Honda Civic, it’s the best-selling car in Canada for the 20th consecutive year, with 69,030 units sold.